Water is a fundamental element for the life of the ecosystems, the dignity of the people and human development. But despite all that, acknowledgement of the human right to water and sustainable sanitation is still a pending task in many countries. Lack of access to water and sanitation is the result of an insufficient will of politicians to accomplish reforms and investments that ensure control and availability of this resource. Water is a common good that cannot be at the service of companies’ economical interests, having to be instead at the service of everyone. We have to develop a water governance based on the principles of sustainability and participation, a new public management that guarantees the human right to water and sanitation. To raise awareness and consciousness in the population. To favour a process of reflection on the situation of water in the world and the need to acknowledge the human right to water and sanitation, as well as a model of sustainable development. To learn and educate about the key factors that cause, perpetuate and aggravate the water crisis, as well as their impact. To use this knowledge to set a new direction to this situation. 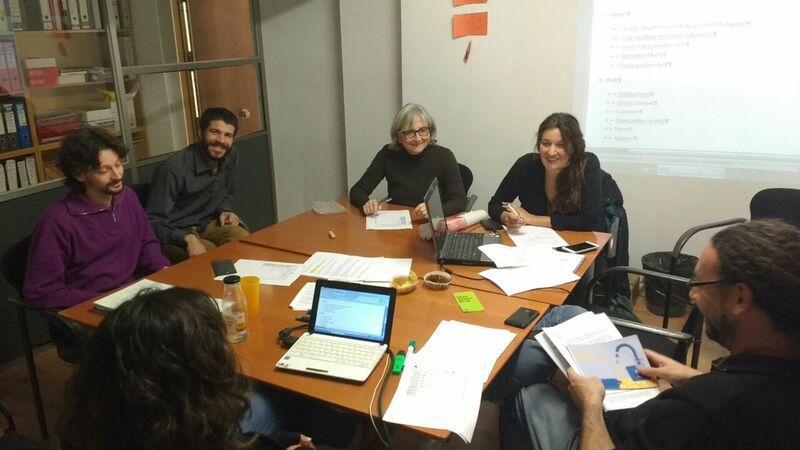 To support and develop a new public management of water, with social control and participation, establishing cooperation links between non-profit organisations. To influence and advise the relevant authorities about issues related to integral water management. To work with governments, international organisations and entities responsible for water management to develop adequate hydrological policies. To condemn and oppose processes of water commodification, which cause and aggravate the water crisis, and to allow the resistance against these exclusive privatising processes to speak up. Today, 663 million people don’t have access to drinking water and 2,400 don’t have sustainable sanitation, mainly people in the rural or periurban areas of Asia and Subsaharan Africa. The main impacts of the world situation of water are very diverse and they affect the environment: one third of the surface of the Earth is threatened by soil degradation; health: 85% of illnesses in developing countries have a hydrological origin; food: 70% of the vulnerable population lives in rural areas, where agriculture is the basic activity; education and gender: the task of obtaining water is a responsibility of women and children, which has repercussions on their education and on economical activities; and conflicts: water is a determinant factor in many existing armed conflicts, as well as in social conflicts and political instability. All these impacts finally affect human development. The causes which have driven us to this crisis are: contamination caused by human action and by inefficient and insufficient environmental laws; a bad management based on market laws of offer and demand, aggravating this way the existing unbalance of availability and consumption, and ending up often in an overexploitation of the resource; lack of resources as well as foreign debt makes governments under-invest in the improvement of services and water supply and sanitation; and the poor information and public participation in the different stages of the management. Very often it is said that the causes of the global situation of water are economical, when in truth it is the result of a lack of priority and political willingness to revert the situation. Public services of water and sanitation are of utmost importance to the development of a decent living for the population; this way, 90% of the world’s water services are public. Their main functions include social unity and governability in the territories. Also, access to basic services of water and sanitation is the base to guarantee the human right to water and sanitation. Universality. Universal access to public water and sanitation for all the population, without any kind of exclusion. Equity. Access to public water and sanitation irrespective of race and socio-economic conditions of the population. Integral. Includes public water and sanitation services in the whole water cycle, incorporating sewerage, storm drains and vector control. Public Management. The set of public water and sanitation services should be, by public definition, provided by institutions of a public nature, on social and community levels. Participation and Social Control. We must incorporate civil society in public water and sanitation services to achieve efficient and sustainable management from social, environmental and economic perspectives. Cross-sector. To facilitate development in both urban and rural areas from an ecosystem view of water. Service quality. A regular service with continuity, efficacy, safety and quality of supply must me guaranteed. Fair access. The price should not be a cause of lack of access to water and basic sanitation; water of life should be affordable, being financing with crosses rates or other ways possible. Equality. Participation can generate equal opportunities for different actors and citizens to influence public decisions, which benefits those sectors of the population traditionally excluded from public decision making. At the same time, through citizen participation we can achieve a better redistribution of public resources. Citizenship. Participation extends the rights of citizens and awards new freedoms and responsibilities to the exercise of democracy. It enhances the skills of the citizens, increasing their self-esteem and building a more just society. Confidence. Participation allows transparency and control by citizens, prompting new relationships with the government and closer relationships between citizens and political representatives, recovering the legitimacy lost by traditional forms of government and boosting confidence. Effectiveness. To promote citizen participation in order to achieve greater efficiency in the development of public policies. With citizen participation, the identification of problems is more adjusted to reality and public policies become more responsive to the needs of the community and more functional and transparent. It is necessary for governments to recognize and implement water as a human right to ensure universal access to safe water and sanitation; it should be included in all constitutions of the countries and in the United Nations basic principles. Likewise, we demand the recognition of water as a Right to the Environment for the life of aquatic ecosystems and the preservation of the resource. A sustainable management that protects the natural cycles of water and maintains the ecological functions and water quality in our rivers and aquifers. This management model should also avoid building large infrastructures (dams, transfers, etc..) funded through public investments that directly promote the commercialization of water by large corporations. We must ensure physical, economic and informative access to water with adequate quantity and quality, which is the basis for life and human development, as well as sustainable sanitation. The Public Sector, manager of 90% of water services, is the only entity capable of ensuring this access and watching over the human right to water and sanitation. Thus, we understand that the necessary investments to ensure secure and sustainable water supplies throughout the world are a common responsibility that must be paid through general taxation. We condemn the International Financial Institutions that at the service of large corporations, have defined water as an economic good subject to market rules. To meet the challenges of water it is necessary to stop the commodification of water, the true cause and aggravating factor of the water crisis. In this sense we do not accept the activities of transnational water companies supported by IFIs and aid agencies of donor countries, such as the privatization of water services or industrial exploitation of bottled mineral water. Transnational corporations that seek new markets for new revenues but are unable to guarantee universal access and at the same time profit from the water crisis. Given the failure of the water policies that international agencies set up to address this situation, we call for a change of direction of these institutions that should start by removing water from the WTO agreements and all international trade agreements. Furthermore, we urge governments not to support the illegitimate World Water Forum organized the World Water Council, a private organization without any democratic legitimacy. The public, social or community spheres must ensure that the models of public water management are increasingly efficient, and move towards a new culture of water, based on demand reduction policies, comprehensive planning, enhancing the effectiveness and an integrated management of the water cycle. The ownership, management and control of the water cycle should be public and participatory on a social and community level. The principles of public participation, full transparency and democratic accountability must be respected. Therefore we see important to strengthen partnerships between public water entities of different countries, and we ask all governments to support politically and financially the various forms of public-public collaboration, through international cooperation for development and financial cooperation to ensure access to water, the exchange of best practices between public enterprises and local authorities as well as models of participation and solidarity between citizens and communities from different countries and regions.